the Falcon Rest Mansion in its original kitchen. It is the only guest room in the 1896 building. The 17×17-foot room boasts 12-foot-ceilings, a king-size brass and marble bed, a gas-log fireplace, antique sofa and dresser, and a peek-a-boo carved wooden screen. 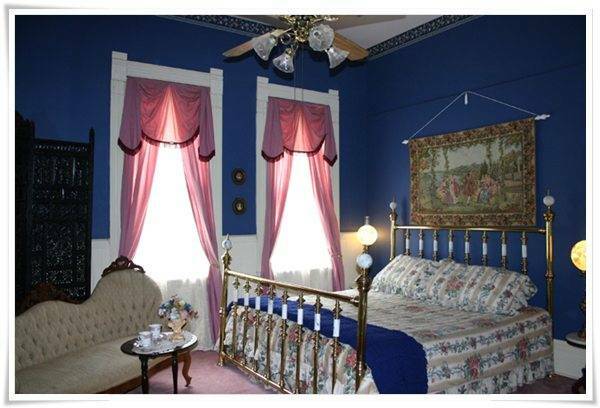 The original wainscoting covers the bottom half of the walls, and the upper portion is deep blueberry.